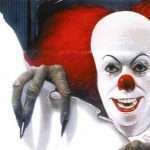 Coulrophobia. No need to look it up. It’s what you’re feeling right now. 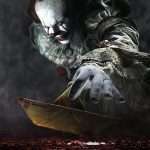 The unreasonable fear of clowns. Maybe it’s not so unreasonable. 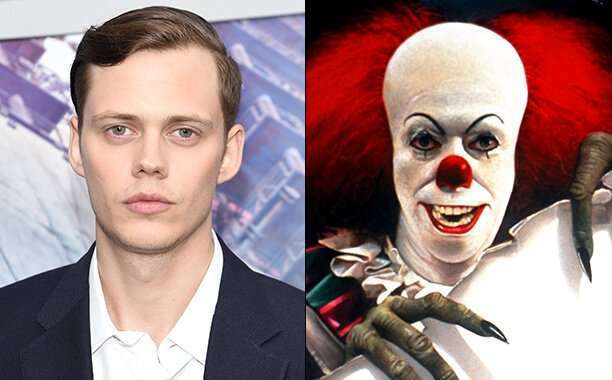 Look below and you’ll lay eyes on the first look at Pennywise the Dancing Clown from next year’s film adaptation of Stephen King’s It, with Bill Skarsgård taking on the role of the most fearsome creature to ever clutch a bouquet of balloons. 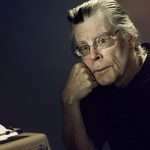 Anyone who’s turned the pages of King’s epic coming-of-age horror thriller knows this bloodthirsty funster isn’t your average psycho in grease paint. 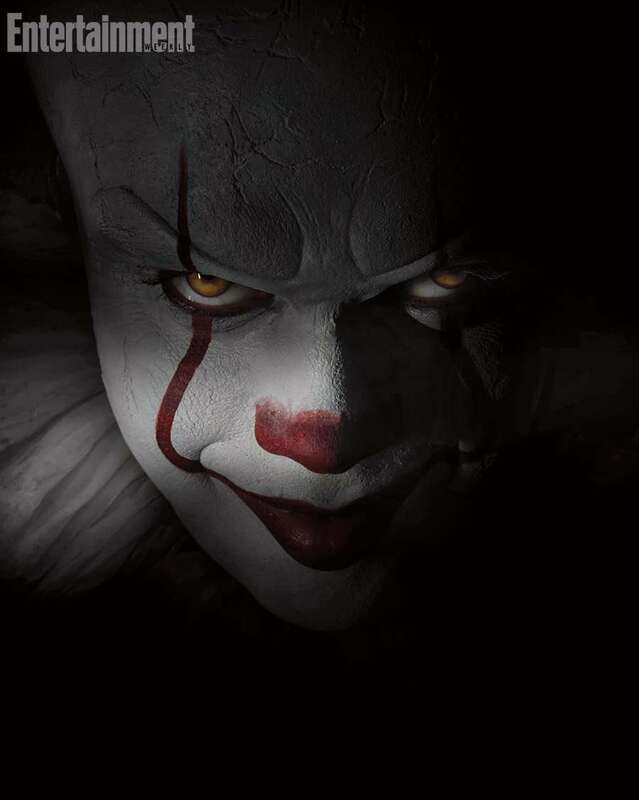 Pennywise is the favorite embodiment of a nameless, shapeless evil that dwells beneath a small town and feeds on the fear – and sometimes limbs – of children. 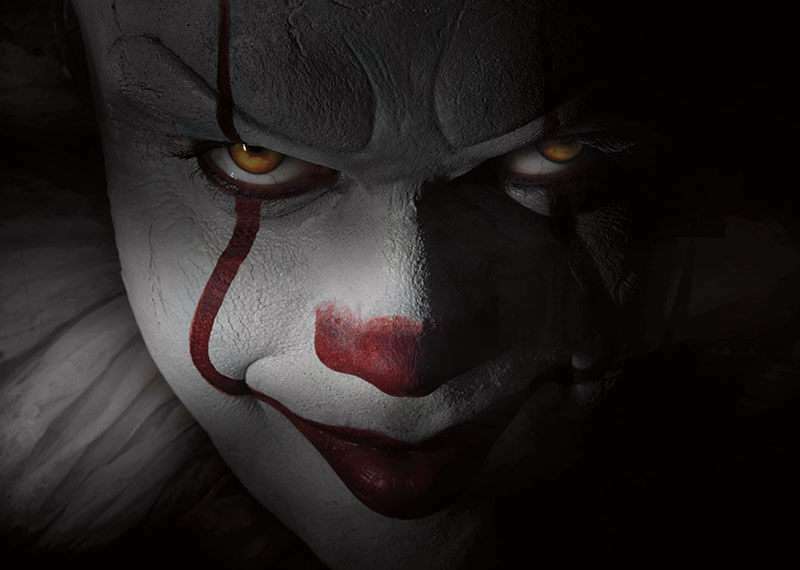 This manifestation of Pennywise from director Andrés Muschietti’s film (out Sept. 8, 2017) is elegant, precise — even alluring. He’s in control. It’s a stark contrast to the messy, smeared, and dirty scary-clown trend pioneered eight years ago by Heath Ledger’s Joker in The Dark Knight. “It’s important that we do something fresh and original for this one. It’s purposely not going toward that weird, greasy look,” says Skarsgård, best known for Allegiant and the Netflix series Hemlock Grove. As one of the younger members of an acting family that includes father Stellan and brother Alexander, Bill Skarsgård is used to breaking out from long shadows. 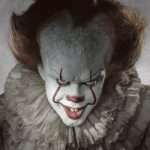 In the case of It, he’s following in the floppy footsteps of Tim Curry, who did unforgettable work as the monster in the 1990 TV movie. 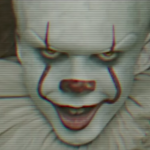 “One of my best friends is completely traumatized by the original film version of It,” Skarsgård says. 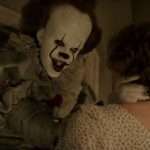 “He has a clown phobia, and he was maybe 5 or 6 when he saw it, which is way too young, and he had an older sibling who made him watch it. Now he’s scarred for life.” He laughs. Very Method. The fact that Skarsgård is younger, only 25, changes the dynamic for the demonic villain already. 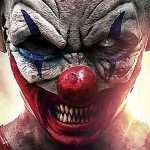 In the story, Pennywise faces down a team of misfit kids who band together in the town of Derry to destroy him, shedding their fears by standing together. But in this representation he’ll only look like he’s a few years older them – perhaps more a reflection of themselves gone twisted and wrong in a few years than a creepy middle-aged predator. When It hits screens next year, it will only tell part of the 1986 novel, following the main characters when they were children. A sequel, in which they come home again to battle It a second time as adults, is planned if this first installment is a success. Among other alterations, the timeline has shifted from the book — it’s now set in the late ‘80s instead of the late ‘50s. We’ll see whether It’s other monstrous forms — a wolfman, a mummy, a shark among others — will change with the times. The master himself was reached out for comment on the new look of one of his most iconic creations. He was suitably unsettled.